Many will move on to choose natural sleep remedies such as melatonin. This sleep remedy is used with some success on a short term basis. However, while it may induce sleep, sleeping through the night is a challenge. Suggested use of melatonin is only for three months or less. One of the more popular herbal sleep aids is Valerian root. Valerian root is used with better results on a long term basis. It is suggested that Valerian root herbal sleep aids become more effective after lengthier continuous use. 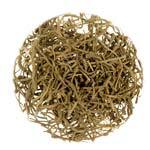 There are no detrimental side effects from Valerian root, only a slight headache it that. There are also no reported drug or alcohol interactions this herbal sleep aid. Another of the herbal remedies for insomnia, chamomile, goes back thousands of years as one of the herbal sleep aids safe enough for any age. This chamomile herbal tea remedy will relax the body enough to welcome a decent night of sleep. Not only are the calming effects of chamomile effective, this herbal remedy includes anti-bacterial and anti-inflammatory qualities. Although one of the known herbal sleep aids called kava root, or kava kava, will relax a body to a sleeping state, there have been reports in other countries of toxicity and liver problems as a result of this product when used on a continued basis. Cats are not the only species benefiting from a dose of catnip. This herbal product will ease anxiety, enhance relaxation and promote sleep. This product is high in many minerals and some vitamins. Other than pregnant women who should ask their doctor, catnip is safe for individuals of any age. Passion flower is another of the herbal sleep aids which will provide relaxation and sleep as well as sooth gastrointestinal issues which may keep you awake at night. As already stated, there are various herbal sleep aids which will promote a good night sleep or provide comfort to the underlying causes of insomnia. Some products are and some are not age restricted, and some should not be used long term. It is best to take the herbal sleep remedy which best fits the individual.